Richard Morin: Arizona Coyotes defenseman Jason Demers and fowards Brad Richardson and Michael Grabner were all on the ice today in no-contract jerseys. It was the first time for both Demers and Richardson since their injuries. Craig Morgan: Richardson could be ready to return from his hand injury within a week. He’ll still needs to be evaluated. The Coyotes will decide in the next few days if forward Christian Dvorak will go on a conditioning stint. Craig Morgan: Demers has been out since November with a knee injury. Craig Morgan: Arizona Coyotes forward Mario Kempe is doubtful for tonight because of an upper-body injury. Tracey Myers of NHL.com: Chicago Blackhawks goaltender Corey Crawford took part in his first full practice in about two months. There is no timetable for him but he’s hoping to return sooner than later. Chicago Blackhawks: Cam Ward was given a maintenance day yesterday. Sean Shapiro: Dallas Stars goaltender Ben Bishop is out tonight with an upper-body injury. He could play on Thursday against the Lightning or Saturday against the Hurricanes. Defenseman Roman Polak returns to the lineup. Jim Matheson: Edmonton Oilers forward Ty Rattie doesn’t have a broken foot but won’t be skating for a few days. Jack Michaels: It is sounding like defenseman Andrej Sekera will play on Wednesday for Bakersfield (AHL) and then could be an option for the Oilers on weekend against the Hurricanes or Islanders, and if not, it would be shortly after. Curtis Zupke: Los Angeles Kings forward Jeff Carter is “probably a few days away,” according to coach Willie Desjardins. He’s like he’s been like that for a while now. Brent Wallace: Ottawa Senators Guy Boucher said they are hopeful that goaltender Craig Anderson will be back in “the next few days.” The Senators will need to recall someone if he can’t go. Brent Wallace: Senators GM Pierre Dorion said that Anderson suffered a “very minor tweak” when warming up yesterday. Pittsburgh Penguins: Forward Evgeni Malkin returned to the lineup last night. 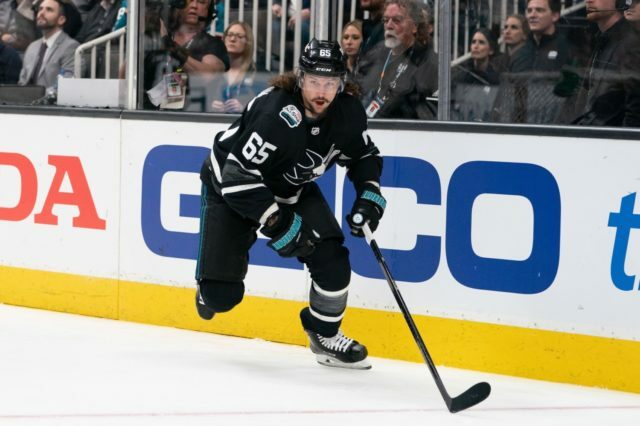 Paul Gackle of The Mercury News: San Jose Sharks defenseman Erik Karlsson missed his eighth consecutive game. Coach Pete DeBoer said that Karlsson has been dealing with a muscle injury for the past four weeks. It could be a groin issue. Irfaan Gaffar: The Canucks put forward Brandon Sutter on the IR.